Lorena Vidaurre was born in Ecuador, South America, and was raised in Los Angeles, California. She has a bachelor's degree in business administration/computer information systems, a master’s degree in early childhood education, and a Ph.D. in Intercultural Education. Her dissertation focused on decreasing school failure through parental involvement in literacy intervention for disadvantaged Hispanic kindergarten entrants. She also holds a Bilingual and Cross-Cultural Multiple Subject credential and a Program Director Permit, Level VI from the California Commission on Teacher Credentialing. Vidaurre has been an educator for over 20 years in the roles of classroom teacher, parent educator, mentor, consultant and college instructor. She has thoroughly enjoyed teaching primarily in kindergarten bilingual programs in inner city Los Angeles and specializes in working with linguistically diverse students and their families. 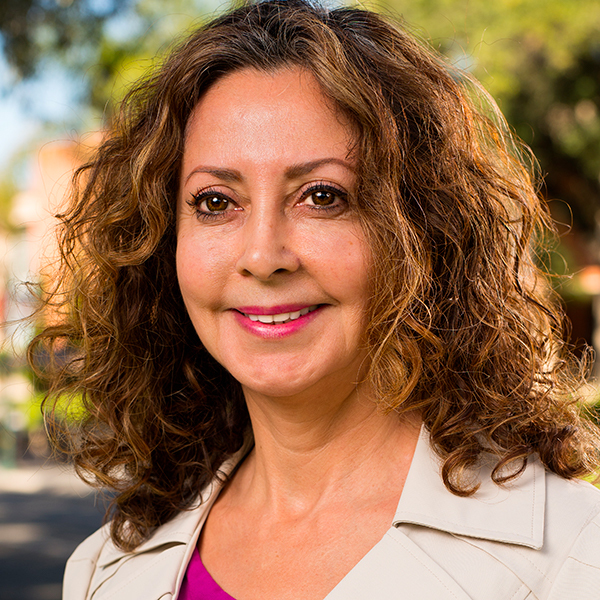 Lorena Vidaurre serves Biola students as the Undergraduate Studies Chair/Liberal Studies Coordinator. She also serves Biola students as the Founding Director and professor of Early Childhood Education, implementing a fully online and on ground program. Her current research project is regarding theological and personal faith integration in education. Vidaurre’s personal mission is to “equip early education pre-service teachers and leaders in mind, character and spiritual warfare through Bible-centered education, service, research and endowed scholarships that will prepare them in their career and personal journey to impact their students, colleagues, school communities, and the world for Jesus Christ.” She has published articles pertaining to global perspectives on spiritual warfare in the preK-12 classroom and co-authored curriculum for English Language Development in Latin American countries. Lorena Vidaurre enjoys leading, speaking and teaching in Spanish-speaking ministry settings throughout Los Angeles and Orange County. She loves to spend time with her husband, children, extended family and dogs. Vidaurre maintains an active lifestyle ranging from Zumba to CrossFit. Her main passions are Jesus, reading and language learning. Hetzel, J., Vidaurre, L., Costillo, D., Longinow, R., Taillon, Al., and LaBarbera, R. (2016, November). Spiritual Warfare in the K-12 Classroom: Global Perspectives. Justice, Spirituality, and Education, (4). Hetzel, J., Vidaurre, L., Costillo, D., Longinow, R., Taillon, Al., and LaBarbera, R. (2016). Global Perspectives on Spiritual Warfare in the Classroom. Christian School Education, Vol. 20 (2), pp. 32-35. Vidaurre, L. & LaBarbera, R. (2012). English as a Foreign Language Textbook, Primary Level 1.Colorado Springs, Colorado: Purposeful Design Press. Vidaurre, L. and K. Harrison. (April 16, 2016). “Gardner’s Multiple Intelligences: From Concept to the Classroom.” La Mirada, CA: ACSI Early Education Conference. Vidaurre, L. and K. Harrison. (April 16, 2016). “Vygotsky’s Zone of Proximal Development and Learning Centers: From Concept to the Classroom.” La Mirada, CA: ACSI Early Education Conference. Vidaurre, L. (April, 2013). “Preparando Maestros Para Niños y Jóvenes en la Iglesia.” La Mirada, CA:Biola Hispanic Conference. Vidaurre, Lorena. (2017) “Preparing for Kindergarten.” Carson, CA: Annual Family Literacy & Health Parent Conference. Vidaurre, L. (2006). “Raising a Bilingual and Bi-literate Child.” Carson, CA: Annual Family Literacy & Health Parent Conference. Vidaurre, L. (2009). “Before and After”: Pre and Post Testing for School Readiness Language Development Program (SRLDP).” Los Angeles, CA: Los Angeles Unified School District, Early Childhood Education Department, SRLDP Parent Education Senior Teachers’ Professional Development In-service. Vidaurre, L. (2005) “Fun and Learning through Literacy.” Norwalk, CA: Annual Parent Community Conference.